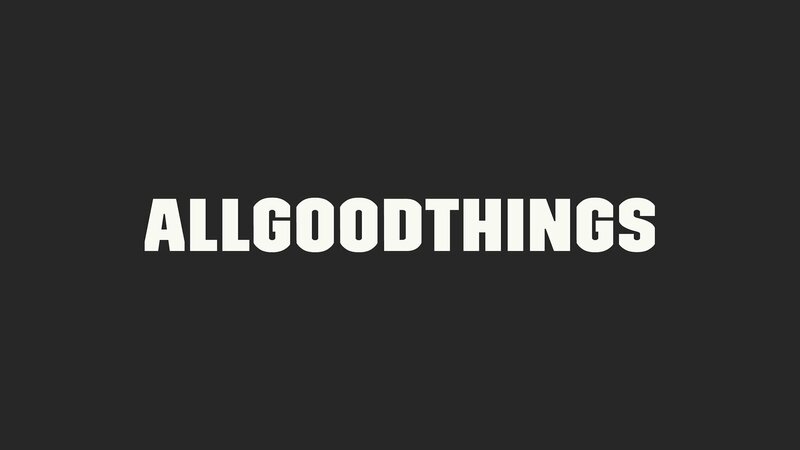 ALLGOOTHINGS is a film production agency based in Brooklyn, NY, that produces commercial, shorts and features. 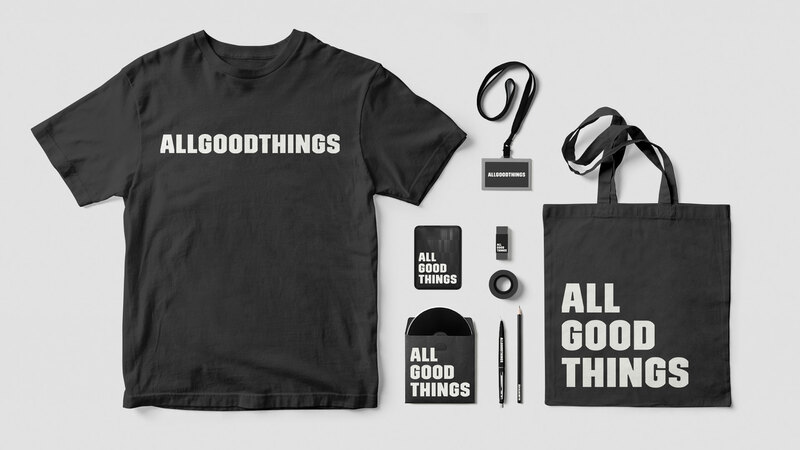 With a pedigree in both advertising and traditional film production, ALLGOODTHINGS bases their company on supporting and educating people – the young and the curious as well as the established and seasoned. 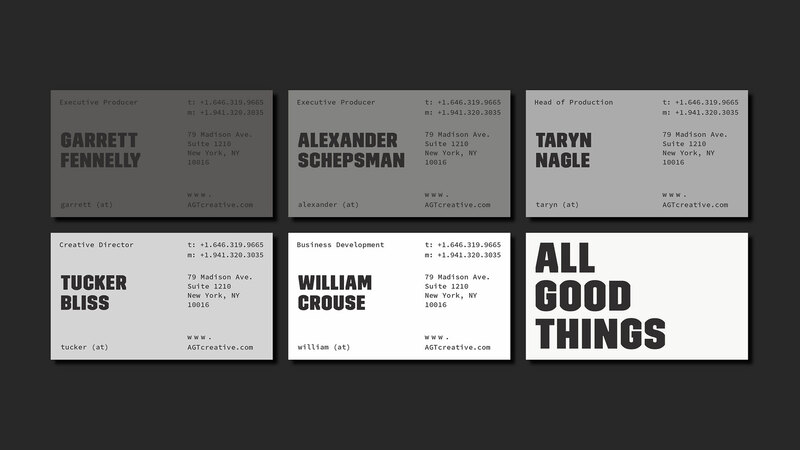 The company is made out of 4 diverse backgrounds coming together to provide one simple service, fully comprehensive production capabilities. 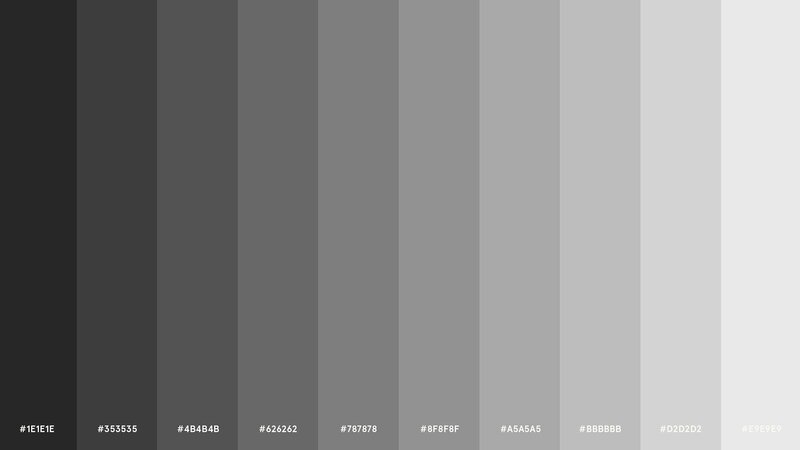 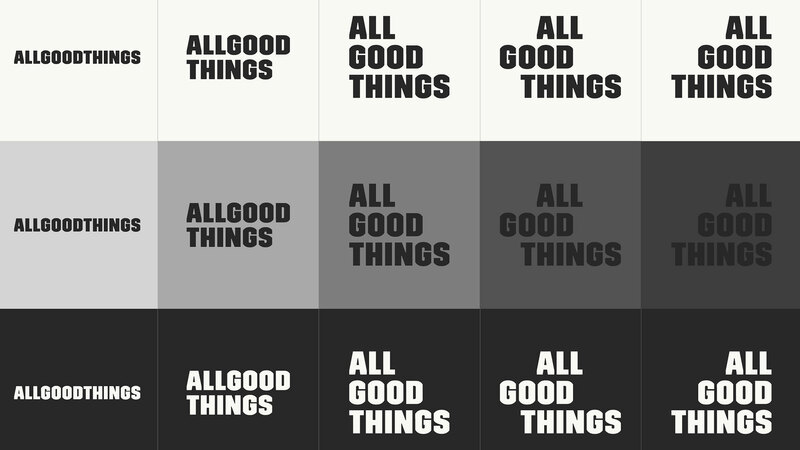 With clear brands attributes such as intentional, straightforward, simple and witty, ALLGOODTHINGS calls for an identity as straight as the brands pillars: type only, scale of grey and ortogonal grid. 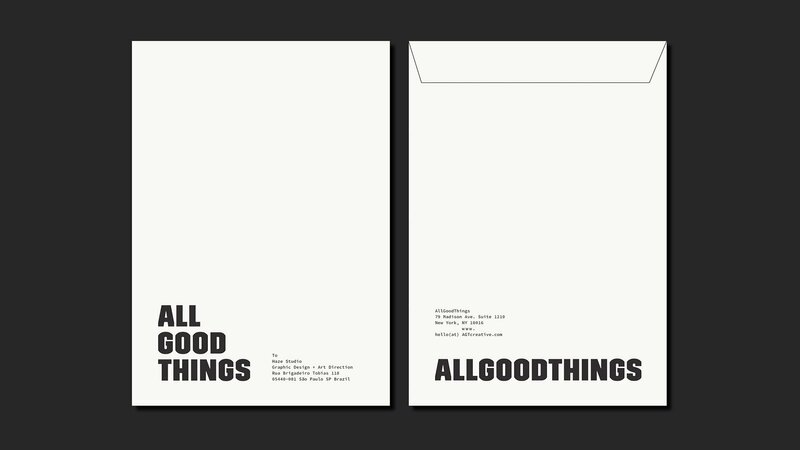 A bold display font is used in the logo and titles bringing the straightforwardness of the company. 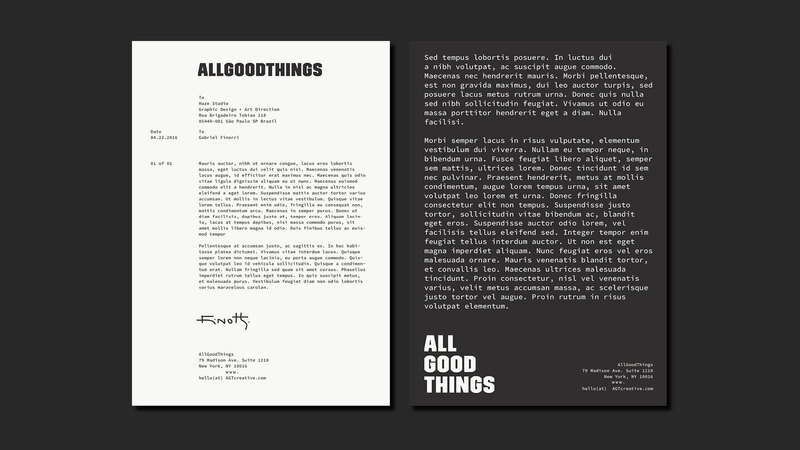 For the body text, a monospace coding font is used to bring up a classical but modern feel to the identity. 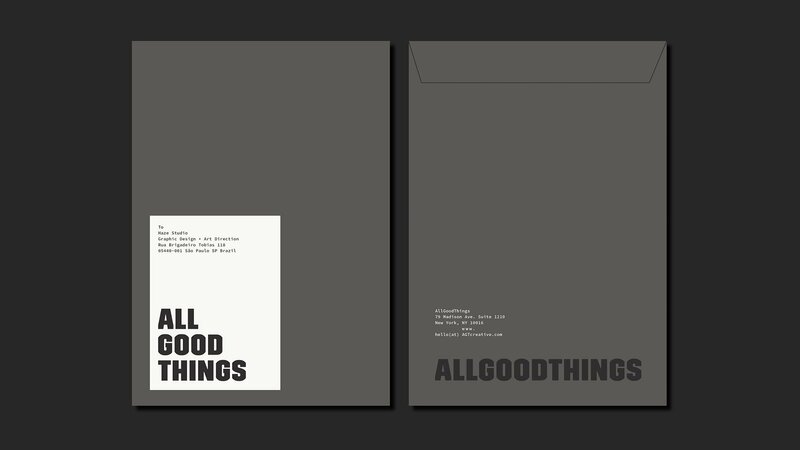 Even though the identity created for ALLGOODTHINGS is very simple, it has a particular strength and uniqueness. 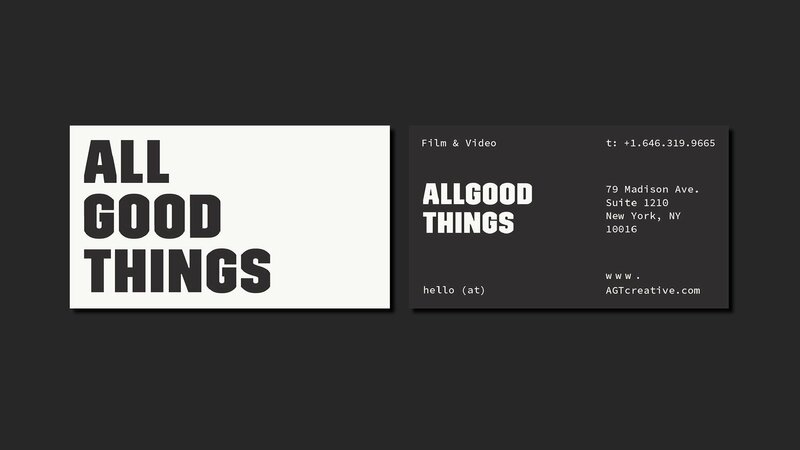 The fonts used are hardly applied in this context of visual identity and branding. 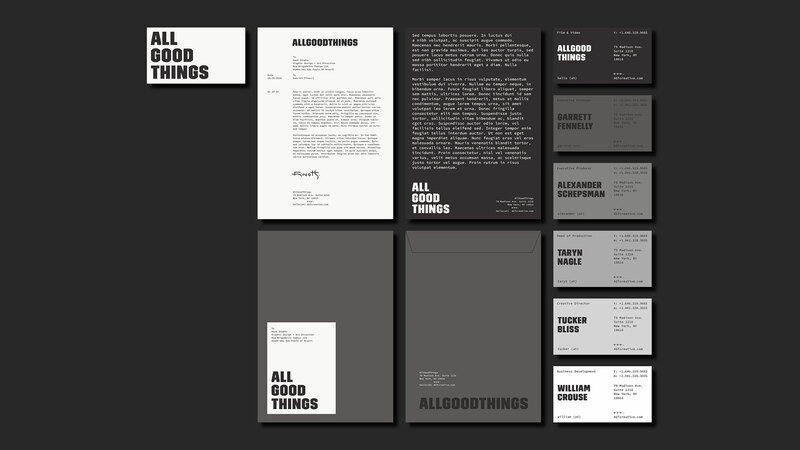 The monochromatic colour palette brings a professional seriousness in contrabalance to the solar side of the company’s name.